Well of Wonders by Thunderkick is an online slot with a refreshing game play. Online casino players stake wagers on every set of seven colourful magical stones coming out of a well. The procedure is simple, as there are no reels nor paylines restricting the areas to which matched symbols must land. When three or more, or all candy-like elements produced by the well are identical, players win the equivalent payouts awarded by the winning symbol. One-of-a-kind combinations pay regardless of their arrangement or positions across the game board. 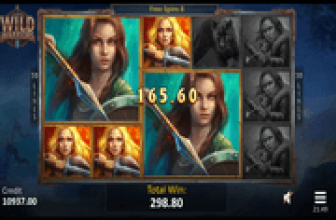 Every element constituting a win disappears, and will be replaced with new icons at no extra cost. The effect is similar to a respin that gives players another chance to land on identical symbol groupings. Players will find this light and easy game uplifting because aside from the flexible icon-matching rules, Multipliers and Wild Symbols are available as pay-boosting contents. Moreover, an enchanting Fairy appears at random to force out non-Wild icons, and replace them with new Well of Wonders symbols. The Wild icon is distinct as it is the only game element appearing in grayscale. Symbolized by a “W,” the grayscale Wild can represent any images in view to complete or lengthen a grouping of 3 or more identical totems. “W” substitution actions are not restricted by payline or positioning either, for as long as they are included in the set of seven (7) images that came out of the Well of Wonders. A win-event triggers not only a chance of hitting new winning combinations with just one bet. It also activates the progression of the Multiplier awarded by the Well of Wonders. The triggering win, awards 1x the value of the payout. If followed by another respin-win, the multiplier applicable to the corresponding payout increases to x2. If the winning streak continues, the series of respin-wins will likewise work toward the continuing progression of the win multiplier. The x2 multiplier doubles and grows to x4, and then to x8, to x16 up to a maximum of x32 during a succession of wins. However, a respin that does not produce a win, will bring the Win-Multiplier back to x1 and will remain as such until another respin-win occurs. Occasionally, a Fairy randomly appears to cast a win-boosting spell on the Well of Wonders outcomes. 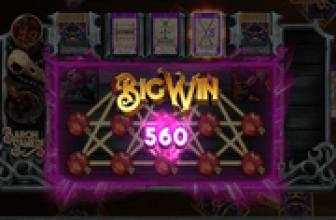 In one of those random appearances, the Fairy may decide to remove all non-Wild icons to give players extra chance of hitting additional wins. The positions vacated by the non-Wild icons receive a fresh supply of new images that may or may not result to supplementary wins. Yet if in one of those random appearances the Fairy chances upon an outcome that did not result to a win, the Fairy's symbol removal and replacement actions will result to a win. Well of Wonders is a reel-less, no-payline Thunderkick online slot that pays for one-of-a-kind combinations of 3 or more elements regardless of positions. Aside from the flexible rules, Wild Symbols are in play as eligible substitutes, while every win event triggers a respin and activates the progression of a Win-Multiplier from x2 up to x32.